Coming from South Africa, Sam has always been very active and sporty, enjoying running, hiking, tennis and even ballroom dancing. Like many teachers, Sam came to Pilates by route of a back injury sustained in her previous work. Pilates was instrumental in her recovery and mostly she loved the fact that it made her so much stronger in the process. It was her remarkable recovery that inspired her to train as a Pilates teacher – she wanted to share this incredible healing and strengthening discipline with others. In 2011, Sam trained with internationally recognized Stott Pilates, specializing in Pilates Matwork and Reformer. Since that time, she has worked at the Sports Medicine Center in the Morningside Medi Clinic in South Africa. This environment has allowed her to work with a wide variety of clients – from those with knee injuries, hip replacements, spinal (discectomy, slipped disc, bulging disc) and shoulder injuries, as well as pregnant women and young clients. Sam has also worked with athletes and generally fit clients who simply want the superb strength and conditioning that Pilates offers. 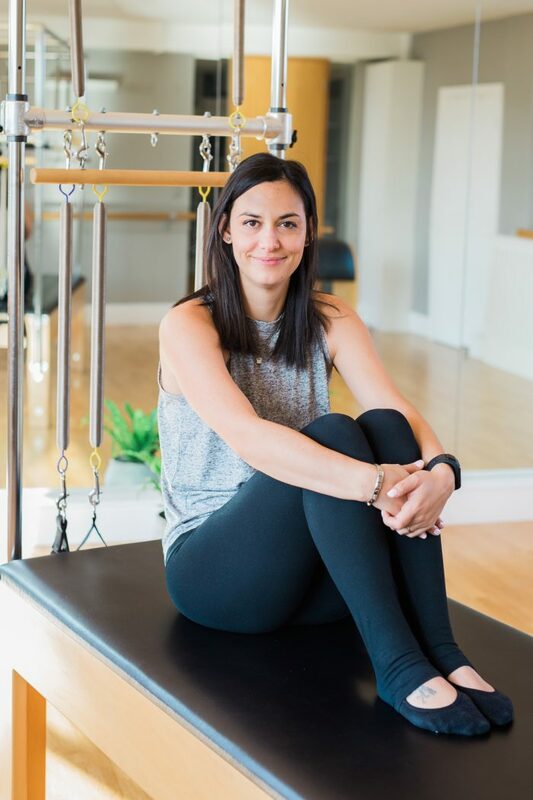 Sam’s philosophy is to empower each of her clients with the Pilates tools that they need in order to further their individual personal goals. Sam has very quickly become a very popular member of the team and we are delighted to have her as a part of Cobham Pilates!